This Project for a law firm specializing in DUI cases in Phoenix, Arizona was designed primarily to collect email and contact information from potential clients and forwarded to an available lawyer immediately. 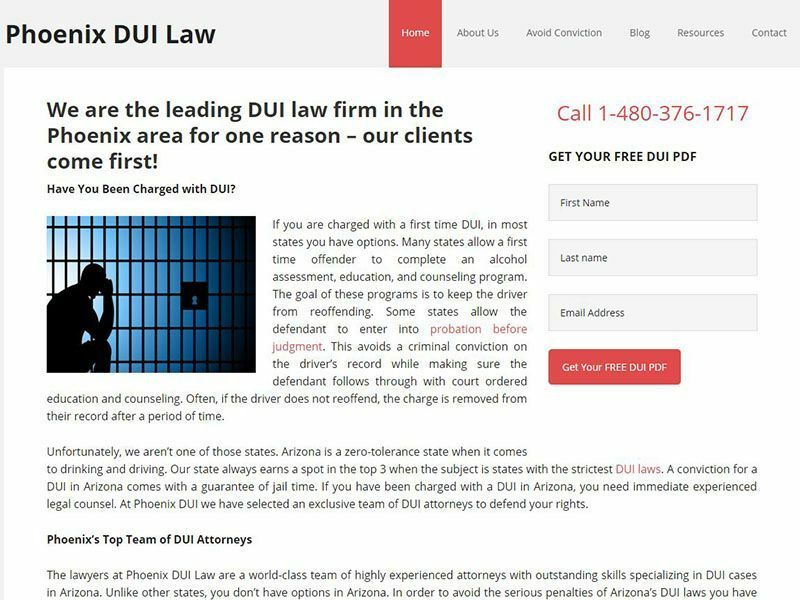 It is rich in information related to DUI law in the State of Arizona and has state of the art contact and email capabilities designed into the frameworks of a mobile friendly website design that is simple and clean for easy navigation. Clear access to all contact information from any mobile device ensures potential clients can access a layer instantly in this state with very strict DUI laws.